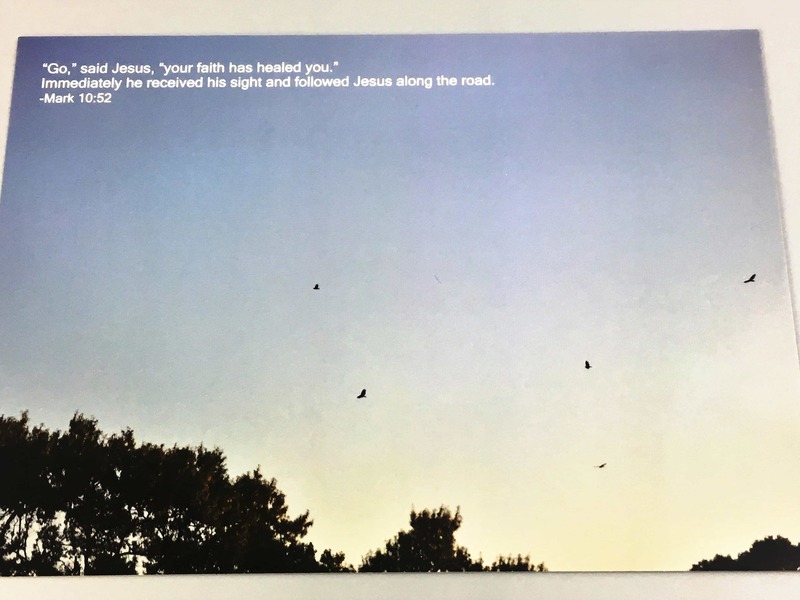 Devotions Delivered sends Christian prints & postcards from around the world to your mailbox starting at just $7.99 per month. You can do single months or up to a whole year subscription, with the monthly price dropping the more you buy up front. The Devotions Delivered team of photographers travel throughout the world and share their amazing shots with subscribers. 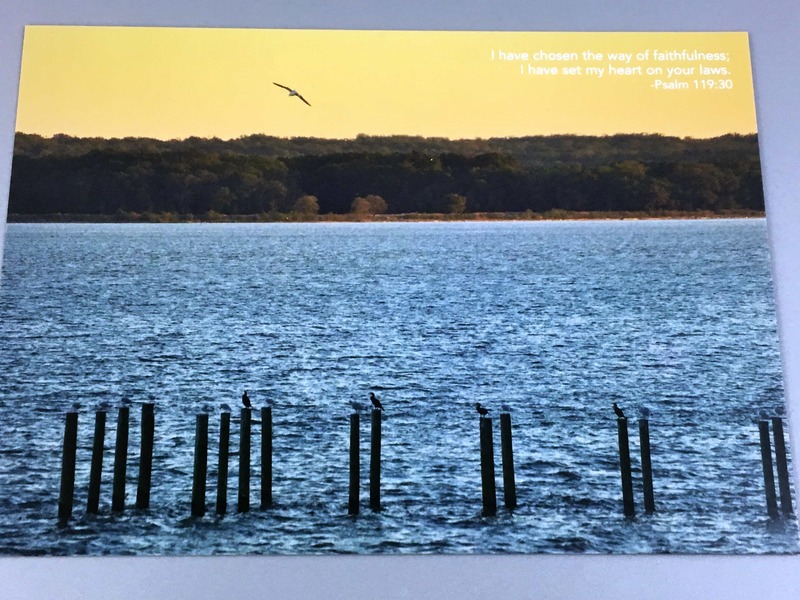 This month’s photographer was Nisa Benjamin who shared these lovely images of the Potomac River in Maryland. 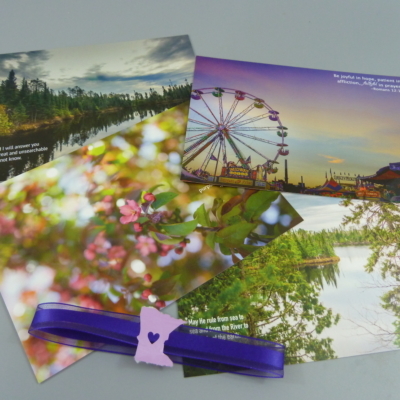 The postcards are 5X7 photos of excellent quality printed on nice and thick postcard stock. Each includes a bible verse and is stamped to help spread God’s word and encouragement. You can keep them for yourself to enjoy for a bit, or address them to a friend as soon as they come in. DEAL: Get 15% off your first month’s subscription. Use coupon code HELLODD15. The coloring on the card is closer to that in the image above. In all of its darkness, it reminds us that God is there, even though we cannot see him now. 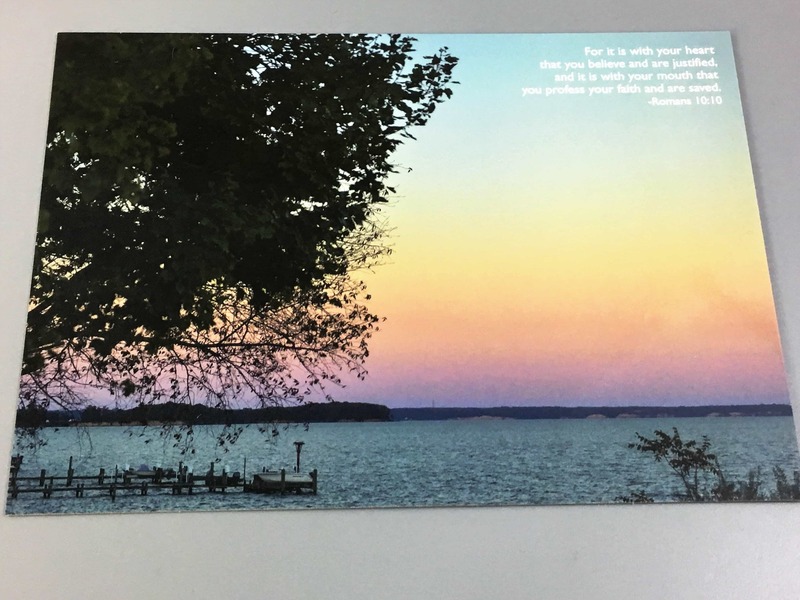 The included inspiration sheet (blue page at the end of these images) encourages us via this image that even in our darkest times we should hold on to faith, as God promises us that the dark times are temporary and the sun will rise again. The collection continues to cover different aspects of faith, from finding your way in life, and learning how to follow God’s lead. 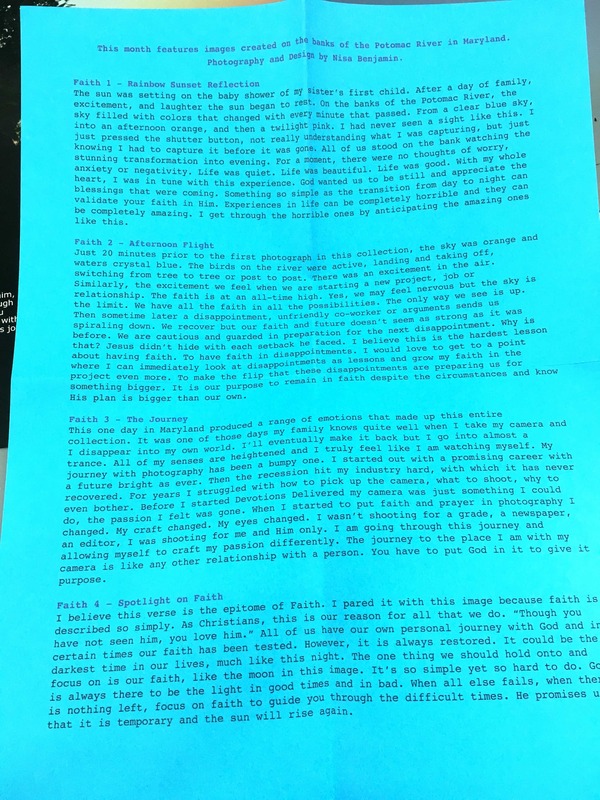 The inspiration sheet also covered how the sky is the limit, and putting your faith in God helps you see the world in a new way. It helps you find flight when before you were grounded. The sheet also said “God wanted us to be still and appreciate the blessings that are coming.” The reflections of the photographer on this month’s collection were touching and made me happy to see how God’s work and a personal passion can be blended together to share a positive message with the world. 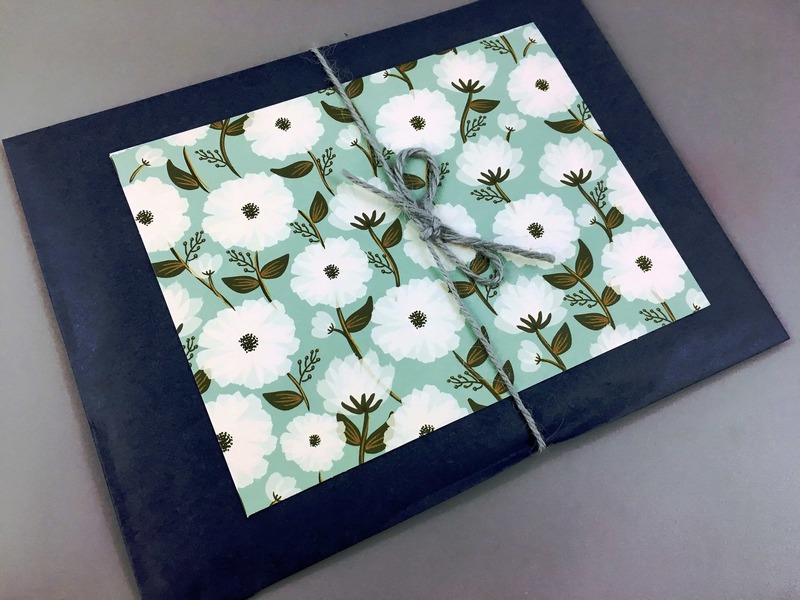 This subscription is wonderful to send to someone in need of a monthly pick-me up. Or to yourself so you can benefit by reading the contents, then spread the love to those you care about. This sheet is about the images in the Maryland Collection. If you’d like to learn more about the thoughts behind these and other images the authors have taken in their own words, take a look at their blog. Visit Devotions Delivered to subscribe or find out more! Receive, Rejoice & Re-Send! 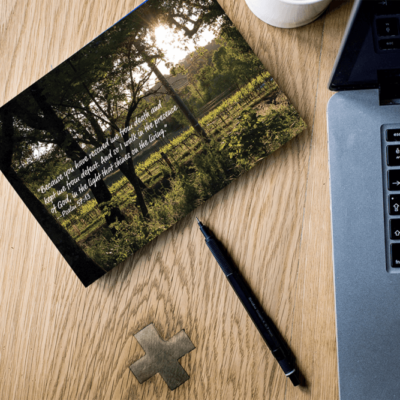 Devotions Delivered is a subscription service where Christian prints and postcards travel from around the world to your mailbox. 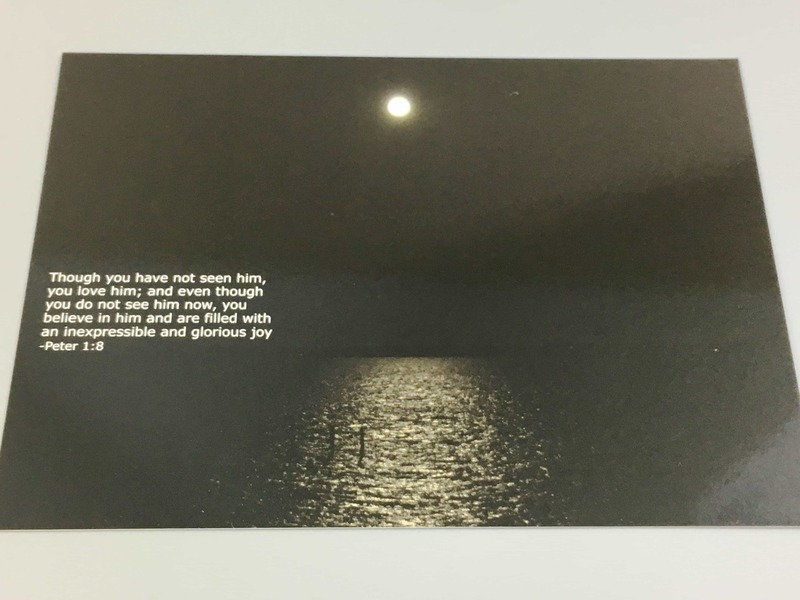 Every month you will receive 4 unique prints with 4 different bibles verses based around a collection of your choosing. 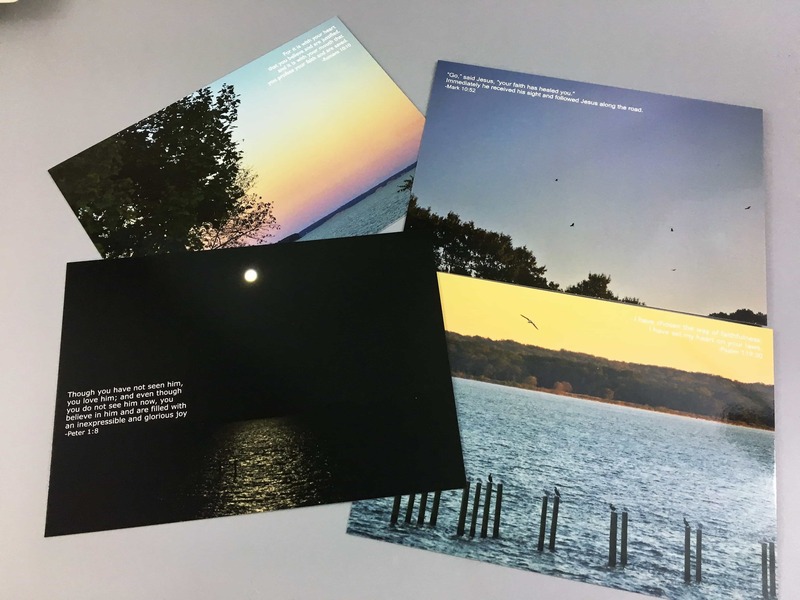 Mark 16:15 says we are to share His message with others, so on the back of every print is a space to message, address, and send it as a postcard to inspire someone else (postage is always included). We tithe 10% of our profits each quarter to a church or non-profit organization decided by our members. Free Shipping to the US, $10 International. Get 15% off your first month's subscription. Use coupon code HELLODD15.